Și zorii îi așteaptă-n noaptea rea. O, vino să ne fi Mântuitor! Și pacea să se-ntindă ca un râu. Veni, veni Emmanuel Veni, veni Emmanuel! Captivum solve Israel! Qui gemit in exilio, Privatus Dei Filio, Gaude, gaude, Emmanuel nascetur per te, Israel. Veni o Jesse virgula! Ex hostis tuos ungula, De specu tuos tartari Educ, et antro barathri. Gaude, gaude, Emmanuel nascetur per te, Israel. Veni, veni o oriens! Solare nos adveniens, Noctis depelle nebulas, Dirasque noctis tenebras. Gaude, gaude, Emmanuel nascetur per te, Israel. Veni clavis Davidica! Regna reclude coelica, Fac iter Tutum superum, Et claude vias Inferum. Gaude, gaude, Emmanuel nascetur per te, Israel. Veni, veni Adonai! Qui populo in Sinai Legem dedisti vertice, In maiestate gloriae. Gaude, gaude, Emmanuel nascetur per te, Israel. 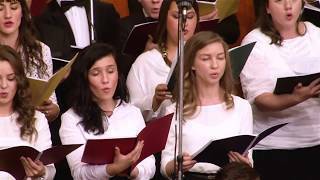 With its haunting minor melody, "O Come, O Come, Emmanuel" is a much-loved Advent hymn. 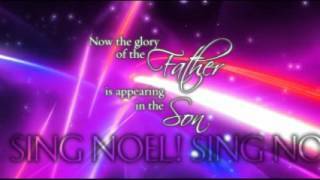 Its lyrics come from the Advent events of the medieval Christian church. Each night, for seven days before Christmas, the church would sing one of the "Great O Antiphons"-anthems sung to a short verse. Read backward as an acrostic, the first letters of these antiphons spell ero cras, which translates into a hopeful advent message: "tomorrow I shall be there." About the twelfth century five antiphons were put together as verses of a single hymn and a chorus was added, creating the words for "O Come, O Come, Emmanual." John Mason Neale translated this hymn to English, originally beginning "Draw nigh, draw nigh, Emmanuel." A year later, he changed the opening lines to "O Come, O Come, Emmanuel," the well-known words we use today. The chorus echoes the desire of Zechariah 9:9, "See, your king comes to you" and Revelation 22:20, "Amen, Come Lord Jesus." We echo the glorious last plea of the New Testament as we meditate on the names and person of our Lord Jesus Christ.